There’s a verse in the traditional Western culture of our vows that states “In sickness and in health.” Many couples before eagerly replying back in reponse while gazing in their lover’s eyes think of that phrase as two elderly people holding hands. Apply that same statement as two young adults, completing grad school, with four active children, and at the crucial beginnings of your careers takes the theology of that vow to a deeper meaning. Loving and caring for a spouse with a chronic disease takes a lot patience, care, hard work, and flexibility. It’s essential to have honest communication and true love for one another when you add in four little ones who want to know why their mother or father is having a “vacation to the hospital,” for unpredictable spurts. Our annual anniversary tradition of snapping a picture with the James Brown statue in historic downtown Augusta, GA.
Who said blind dates don’t workout for the best? I smile every time I think about that. My college girlfriend saw that I was healing and doing better emotionally following relocating back to my hometown following a bad divorce along with my son. My son and I were just getting accustomed of it being the two of us happily going about our daily routine. She called to propose an introductory meeting for me to learn more about a quiet, gentle spirited, and easy going social worker that worked in her office that she believed “would be a great match.” She thought that even as a friend that he would be a great match for my son and I after all we went through. I told her she could give him my number, although honestly I wasn’t looking for anyone. We had our first conversation around the turn of the year. He told me later that he as well wasn’t really looking for a relationship following a recent break up from an emotionally draining long-term relationship himself. Needless to say we both after a few weeks of phone conversations where we would both laugh until our cheeks hurt we agreed to meet for our first date. My husband and I exchanged one picture before we finally met. I was very honest with him that I was a curvy girl, with a smile that usually makes my eyes disappear, and loved wearing a variety of different hairstyles by the day! He shared with me that like our mutual friend said he agreed to having what she called a “peanut head.” We went on our first date to my favorite Mexican restaurant in downtown Augusta, Georgia. While munching on burritos he disclosed that he had sickle cell disease. I didn’t understand what it was or what it was associated with. He explained that it wasn’t contagious, but that it does cause pain occasionally. We went on our merry way walking down historic Board Street checking out sites, and we took our first picture together with the God Father of Soul at the James Brown statue. We visit every year on our anniversary to this day, and we snap a shot with Mr. James Brown. A few weeks later Clayton met my son. This was the first time my son ever met another man in my life besides his father. His gentle spirit, and his care of as a social worker showed at their first meeting. My son took an immediate trust to the quiet, slim, almost youthful looking a man while together playing with toy trucks. Later, when the two of us sat on the couch to talk before he left for the evening my 3 years old son laid two trucks on the coffee table for us to play with. I knew he was a keeper.Their bond has forever been close. My son has always been active. He’s a talker, full of energy, bouncy, and loves to get into things. My husband who is the oldest of four younger siblings took it all in stride. He welcomed my son with open arms energy and all! Following our marriage and the high risk pregnancy of our daughter together I noticed the macho mask of “I’m good,” was starting to take its toll on Clayton. I noticed that his eyes begin to get very yellow like with jaundice. I am very active and love being outdoors however my husband didn’t have the energy to do the same. When we took our son on outings to the park or other interactive kiddy fun adventures my husband would participate quietly on the sidelines. I was in and out of the hospital at the time due to my high risk pregnancy with complications such as hyperemesis gravidarum (extreme nausea and vomiting through pregnancy), and premature labor which was highly stressful for us both. However, my husband stayed by my bedside for every random emergency run. He was also working as a social worker in one of largest counties in Georgia which didn’t help his condition . 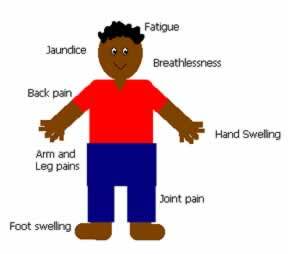 Stress can trigger a major sickle cell crisis I later learned. I would ask him if he was feeling okay. He always said he was fine. However, it wasn’t until I received a call to come to his office from a very concerned co-worker that he really wasn’t doing well. Pictured here excitedly expecting our first born daughter at River Street in Savannah, GA. He advised me to take him to the Georgia Medical College Center which specializes in research and treatment for sickle cell patients. The hospital has it’s own clinic for sickle cell patients. I learned at that emergency meeting more about the disease. Although my husband was trying to protect me from knowing what he endures everyday he was sadly putting his life at jeopardy. He had an older sister with the condition who passed away at age 6 from complications. My husband was more sickly as a child, but his health later improved with rare eposides as an adult. I met many of the clinic’s doctors, staff, treatment team, and all those who loved my husband. They’ve treated him for years at the hospital. They were very welcoming and informative. 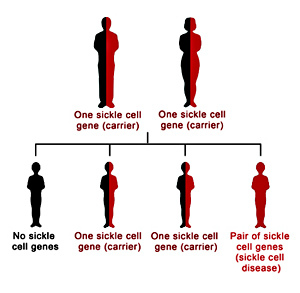 I also learned more about our unborn daughter in being a carrier with the sickle cell trait. I learned to the fullest all that I was taken on in depth with my vows, and we decided as a family we were going to get through this thing together. 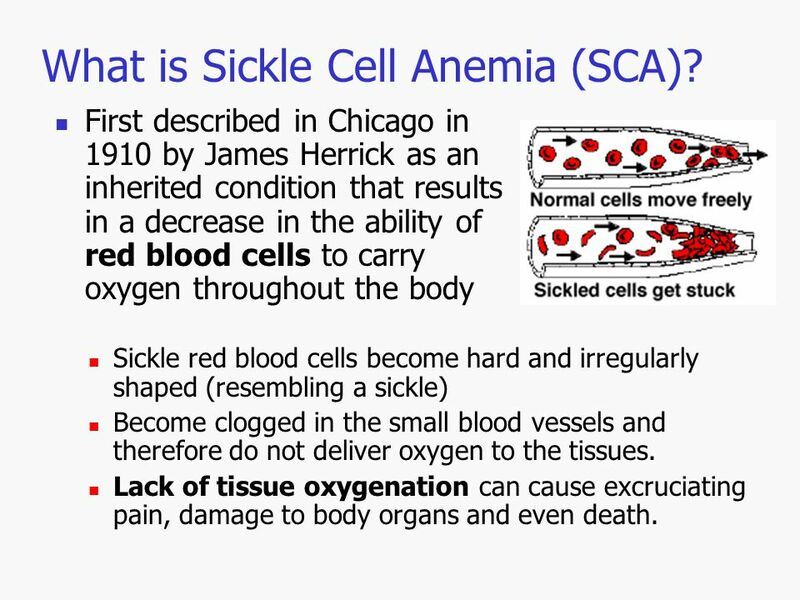 My husband’s mother who is a registered nurse knew plenty about the complications and treatment of living with sickle cell. My family had no earthly clue of what it was! They are very protective of me, so it was hard in explaining that we were going to make it together as a couple. My mother was taken back at first because of the unpredictable triggers of an episode. She later followed through with her own research on the condition. Our parents help as needed in case of an emergency with child care if he has a rare bad episode. Our oldest daughter was born a beautiful healthy little girl.We decided a few years later to have one more child, but instead we found out we were having. We took everything in stride. My husband took our son to school in the mornings, and I would pick him up in the afternoons. We would both participated in being involved in visiting the school if we received a phone call or for any school activities. When we transitioned to homeschooling for a time frame he would join us on our field trips, and he would help with school work when it didn’t interfere with his work schedule. We also had our parents help out occasionally if they could. We developed a small tight knit community of friends that really helped out in support of us in case of an emergency. We keep a family schedule that is flexible if in case of emergency for illness. Oftentimes, I would take the kids with me for outings, trips, and special events so my husband could rest if he needed to. We would do our usual park and play days as a family of 6 without adding pressure on him if he needed to sit down. This is when being a girly tomboy came in handy for my son and I to play sports together. We stay active as a family despite the disease. We go on moderate to light hikes and nature walks. We also enjoy going to the bookstore or having quiet time at home as a family. We communicate with the kids openly if my husband is feeling a bit under the weather. The kids are usually understanding, and they help out more with what they can. Enjoy A Outdoor Jazz Concert in be lovely Augusta, GA. 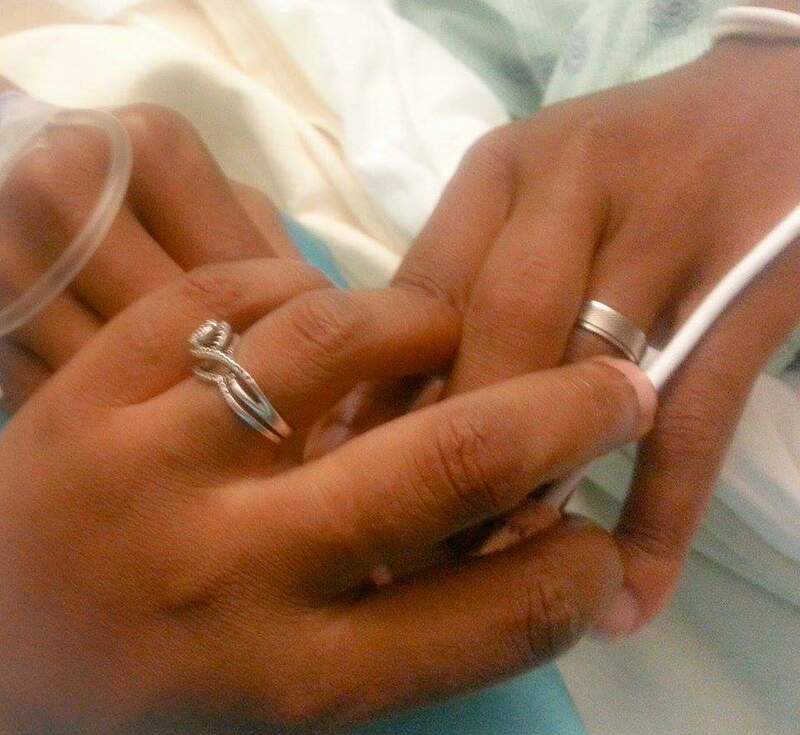 I didn’t set out to fall in love with someone who was living with a chronic illness. I didn’t know all the challenges that we would personally have to endure despite the various articles I read. There were times I felt as a busy mom that I was tending to everyone’s needs for care and fulfillment while being lost in my own. There were a few times while laying on a cold chair in a hospital room struggling to get comfortable for rest that I felt alone. There were times despite my research and concern for how my husband was feeling I felt a bit of a disconnect because honestly I could never know the pain. I can recall moments were I felt overwhelmed and a bit frustrated following the demands of not only his health needs and concerns, but the needs of our children’s, and the management of the household responsibilities in crying with tears. Packing up and heading home following a brief hospital stay. Celebrating our 3rd wedding anniversary at a party here at home. Make time to take care of yourself as well while still caring for everyone else. Pace yourself in stride with household responsibilities and duties. Don’t be ashamed or afraid to ask for help if you need it. Cultivate a healthy inner circle of family, friends,loved ones, and prayer partners that are dependable. Communicate honestly with your children to the best of their understanding of what is going on with your spouse health needs . Find a support group online or community group that can provide comfort and advice. Enjoy the good days when all is well to support spend time together as a family . Keep the romance alive. Depending on the situation you may have to be very creative, but do it. Don’t forget why you fell to love with one another. Create a warm and open dialog with your spouses doctors and health care providers. Have some me time at least once a week to relax, rest, and take care of yourself by applying self-care. Don’t lose yourself in taking care of everyone’s needs. Find a positive escape or hobby that you enjoy. Do it as often as time permits. What a lovely pic of u and ur family. Stay blessed always.